Editors Note: Get more bang for your buck by signing up for our Facebook Ads Setup Plan! Start making wave with top-notch Facebook ads today! Show you why Facebook Ads are for those in the Finance sector. Give you tips on how to create your own Facebook Ads. 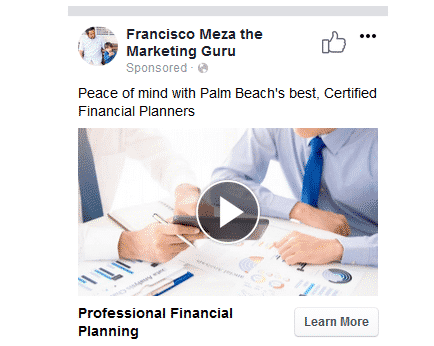 Should Certified Financial Planner Advertise on Facebook? Should businesses in the Finance Sector advertise on Facebook? Facebook has a user base of over 2 billion. This makes it the place to be for those that seriously wish to generate leads. The great thing is that Facebook has all the angles covered, as far as audience targeting is concerned. This increases the chances that any ad that you create will generate serious leads. Learning how to create your own Facebook Ads is not that difficult. In this article, we cover the basics of creating Facebook Ads. If you really wish to go into detail, also check out our DIY Facebook Ads Marketing course. The course contains a number of details in which I walk you through the process of creating Facebook Ads for your business. Affordability matters, particularly for small businesses. The great thing is that advertising on Facebook is actually cheaper than on other platforms, such as Google Ads. A Facebook advertising campaign can be launched for as little as $10! Need to have Facebook Ads for your business handled by professionals. Get in touch with us to begin tapping into the amazing opportunities that are offered by Facebook Marketing! 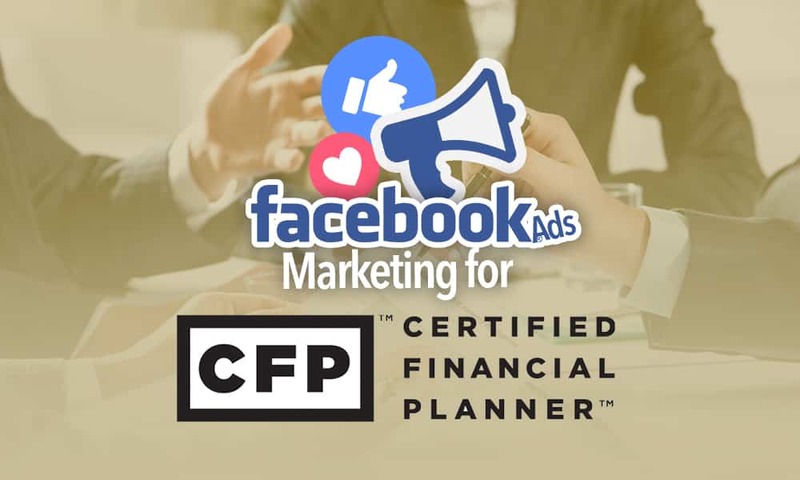 To begin creating Facebook Ads for your Financial Planning business, you need to head over to Ads Manager. This is where all the magic happens as far as creating Facebook Ads is concerned. We already have an Ad Account, so we are going to skip the next step. If you do not already have one, click on the “Set Up Ad Account,” button and fill in the required details on the next page. Click on the “Continue,” button when done to begin working on your Ad Set. The Ad Set: Defining your target audience. 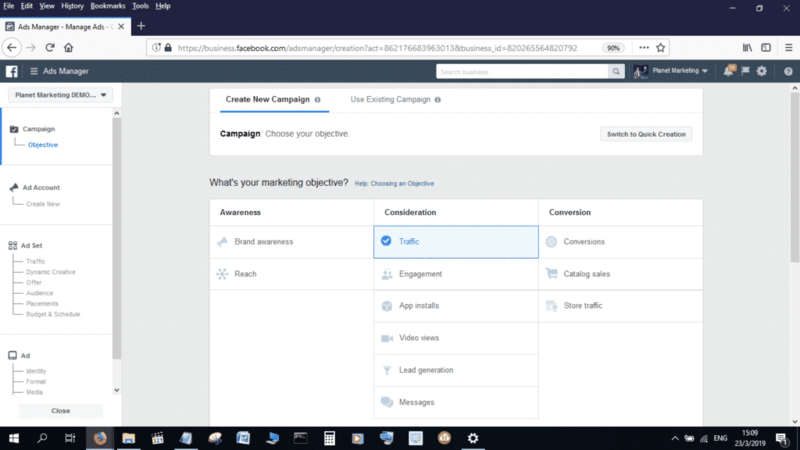 A Facebook campaign can have a number of Ad Sets. An Ad Set is important because it helps you define your target audience. Indeed, the Ad Set section can be regarded as the most important when it comes to creating Facebook Ads for your business. Where do you wish to have your Ads shown? Across the entire world or just in the United States? What you will discover is that you do not, in most instances, need to cover the entire of the country with your Ads. Depending on how localized your business is, it may actually be beneficial to restrict your ad’s reach to your area of operation. For this example, we are going to base our Certified Financial Planner in Palm Springs, California. You will notice from the above screenshot that we have restricted the target area to within 25 miles of our target location. You can increase and decrease this radius as needed. You can also easily include and exclude any locations within the target Geographic area. Which age range is likely going to be looking for the services of a Certified Financial Planner? For this example, we are going to go with people who are between 35 and 50. You can also choose to have your Ads targeted only at either men or women. For this example, we are going to go with both genders. If you wish to have your ads displayed only for people who speak a particular language, you can do so using this section. This is the section where you really narrow down on the target audience. The Detailed Targeting section allows you to choose the demographics, interest and behaviors of the people to whom you wish to have your Facebook Ads displayed. As you can see in the above screenshot, we have targeted people whose net worth is over $250 000. We have also targeted small business owners. These are the people who are most likely to be in need for the services of a Certified Financial Planner. Do you wish to have your ads also appear on Instagram? This section allows you to either have your ads delivered across Facebook’s networks, including on Messenger and Instagram, or only on Facebook. 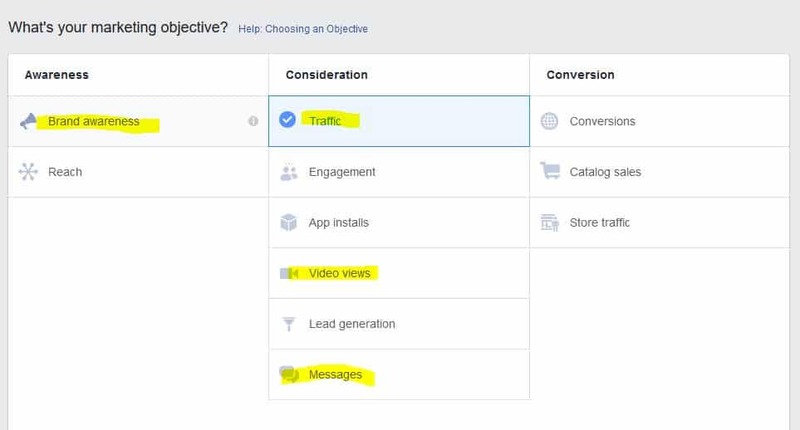 Facebook recommends the default “Automatic Placement,” which gives you greater reach for your Facebook Ads. One of the most difficult things for beginners is the setting of a budget for their Facebook Ads. Our advice is to start small and take it from there. The trick lies in doing a little bit of testing; but eventually you will get there. The schedule section allows you to set a date for the start of your advertising campaign. When done, click on the “Continue” button to move to the next section. The last step on your way to launching Facebook Ads for your Financial Planning Company is the creation of the Ad itself. This is, perhaps, the most important section in the whole process. The quality of your ad is, more or less, going to determine how well it will achieve the desired results. Choosing the best format may be a matter of determining what works best for your goals and for your target audience. Your ad’s preview appears in a panel to the right of your screen. This is definitely useful, in that it allows you to perfect you Ad. The destination is where you wish people who click on your Facebook Ad to be directed. We recommend that you create a landing page that is specifically designed to turn your leads into conversions. When done, click on the “Confirm,” button to finalize your Facebook Ad. If you have added a payment method, you should be able to confirm the launch of your Ad. Depending on its schedule, it will either begin showing immediately or whenever it is that you have set it to be launched. For the best results we encourage you to get in touch with us to get the most professional looking Facebook Ads that can be found out there. However, if you would rather learn more about creating your own Ads, don’t hesitate to sign up for our DIY Facebook Ads Marketing Course. The course contains a number of exciting videos that are guaranteed to turn you into a pro at Facebook Marketing in no time. So, what are you waiting for? Sign up for our DIY Facebook Ads Marketing course to get going creating your own Facebook Ads now!